Demand for flexible office space is set to soar over the next five years, according to a recent report by property firm Jones Lang Lasalle (JLL), with forecasts indicating a growth of 30% annually. This new way of working will change the way thousands of businesses of all sizes organise their work force. The report goes on to highlight that flexible workspace operators have taken up one sixth (17%) of all new commercial property in London and last year that footprint outside the capital tripled with Manchester and Birmingham seeing the fastest growth. 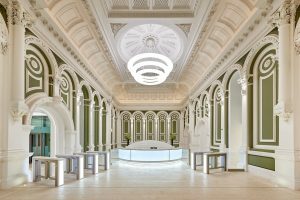 These flexible office spaces are known by a variety of other names including serviced office, managed office, business centre, shared space or co-working space and executive suite. Whichever name they are referred to as, the concept remains the same: it is an office or office building that is equipped to allow an organisation to become operational immediately, often on short term rents. 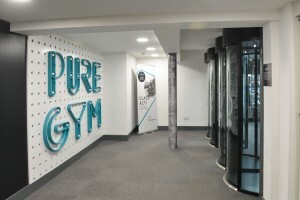 They offer ready-to-go offices including computers, furniture, IT cabling, a managed reception desk, shared kitchens and flexible meeting room access and, crucially, adequate security measures in place to allow 24/7 easy access. The office is usually managed by an in-house facilities team and the businesses using it will often pay rent on a monthly basis, depending on the contract. In many cases, in order to keep costs down, there won’t be a permanent security team, so physical entrance security needs to be robust and able to operate without human intervention. This can present a number of issues in terms of controlling who is entering the building – with many businesses all using a shared office, it is easy pickings for criminals who gain access to valuable equipment and data records by blending into the crowd safe in the knowledge that they are unlikely to be challenged because of the transient, ever-changing nature of the workforce. That is, unless a physical barrier, such as a Speed Gate or Security Portal is installed to ensure only people who are authorised to be in the building are allowed to enter. The majority of flexible office spaces are required to provide 24/7 access as the way organisations work changes, and because of that the physical entrance barrier needs to incorporate a number of security features. The start point is to decide whether you need Speed Gates or Security Portals. Speed Gates are a good choice if there is a high throughput of people. They are capable of allowing around 40 people per minute to transit through. All our Speed gates incorporate anti-tailgating features and alarms if anyone attempts to climb over the barrier. The alarm alerts the security team who can then intervene and apprehend the would-be intruder. 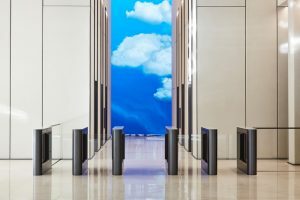 Our Speed Gates are highly customisable and can be specified with a wide range of materials, finishes and colours such as stainless steel, bronze and Corian, making them contrast or complement the interior design scheme. Speed Gates have an advantage in requiring a relatively compact footprint, so are suitable for smaller entrance areas. 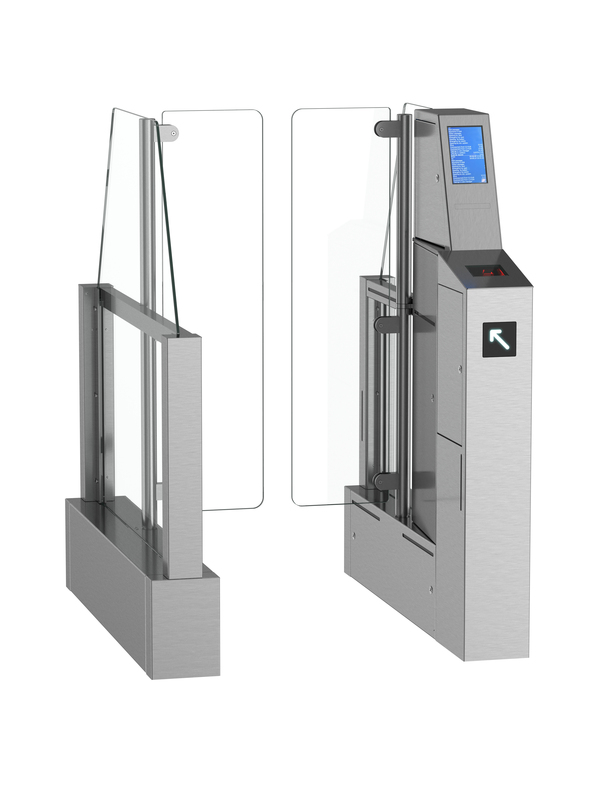 For larger entrances or to cope with a higher throughput of people our Speed Gates can be arranged in banks or 2, 3, 4 or more. Where there is a requirement for a pay-as-you-go office space, our EasyGate SPA is a Pay To Access Speed Gate that can help maximise revenue in publicly accessed facilities. For example, it allows organisations that rent out flexible office space to charge an unmanned entrance fee, day or night. A variety of different payment methods can be used including coin, contactless card and NFC (near field communication) such as iphone. Having an ability to take revenue means that our EasyGate SPA achieves a rapid payback. Access to the Speed Gate cabinet and coin box is controlled by different safety locks, ensuring only authorised personnel can access either area. Although Speed Gates provide strong detection capability, they are not as effective as Security Portals in preventing a determined or forced entry attack. Where 24/7 high security access to the flexible office space is required, and where there isn’t a manned-security team, then Security Portals are a good choice. Even our standard version Security Portals create a fully enclosed physical barrier at the entrance point, whilst our LPS1175 and Secured by Design approved C190-S1 to S3 and C3-S1 to S3 Security Portals provided enhanced resistance against forced attack. They can operate as a high security interlocking door to prevent tailgating or as a prestigious entrance solution, allowing the transit of multiple people at the same time. 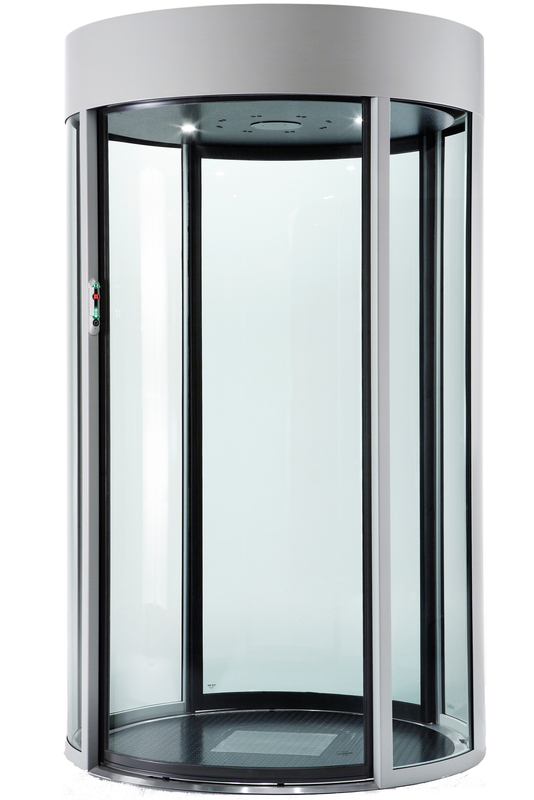 For smaller entrance areas, our C3 Cylindrical Security Portal is a more compact version of an LPS1175 approved portal, but it still provides wide access. It is designed for areas where there is a higher level of throughput and is again suitable for wheelchair users, so is fully compliant with the requirements of the Equality Act. Our entrance security systems can be integrated with a wide range of access control readers such as cameras, card readers, biometric identification, barcode scanners and people counters. This makes them easy to incorporate into modern flexible office space designs and our experienced team can help you through the design and specification process. 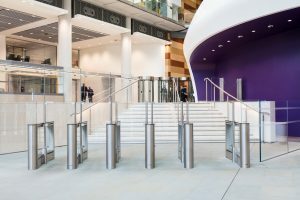 A physical entrance security system should complement the overall look and feel of an office building, whilst providing the level of protection relevant to users’ expectations. The options available to increase the levels of building security in flexible office spaces have advanced considerably in the last few years. Our range of Speed Gates and Security Portals offer an effective way of protecting building users, whilst ensuring it doesn’t restrict their ability to use the space 24/7. That provides owners of flexible office space with a cost effective and secure way of ensuring their customers remain safe. To find out more about our Speed Gates and Security Portals click here.